Thomas Sargent and Christopher Sims have been awarded the 2011 Nobel Prize in economics at a time when governments and central banks have been trying to avert economic collapse in the developed countries. “The methods that I’ve used and Thomas developed are central to finding our way out of this mess" that the global economy is in, Bloomberg reported Sims telling a Swedish broadcaster after the award was announced. Since the 1970s, economists led by Robert Lucas and the two new laureates showed that people are not unthinking robots; they think strategically. They respond to policy decisions because of their “rational expectations" about the future. So central banks cannot permanently decrease unemployment by lowering interest rates. Rational people will anticipate higher inflation in the future, and thus demand higher wages and higher interest rates on their capital right away. These reactions will dampen economic activity, despite attempts by policy makers to stimulate. Critics such as Paul Krugman have been harsh in their criticism of such economics, which basically tried to show that policy makers cannot fool economic agents and that markets are efficient. It became known as the debate between the market-friendly freshwater economists against the more interventionist saltwater economists, the descriptions based on whether the main university departments in the US that were involved in this grand intellectual battle were on the sea or near the lakes. The debate acquired a special edge after the financial crisis of 2008, with the Keynesians arguing for aggressive stimulus and their opponents warning against that course of action. 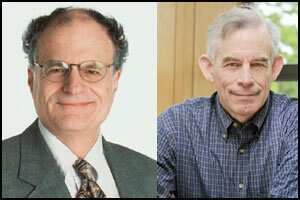 Sargent and Sims provided much of the muscle that strengthened the rational expectations argument. In its press release, the Nobel Prize committee said: “Thomas Sargent has shown how structural macroeconometrics can be used to analyze permanent changes in economic policy. This method can be applied to study macroeconomic relationships when households and firms adjust their expectations concurrently with economic developments. Sargent has examined, for instance, the post-World War II era, when many countries initially tended to implement a high-inflation policy, but eventually introduced systematic changes in economic policy and reverted to a lower inflation rate." “Christopher Sims has developed a method based on so-called vector autoregression to analyze how the economy is affected by temporary changes in economic policy and other factors. Sims and other researchers have applied this method to examine, for instance, the effects of an increase in the interest rate set by a central bank. It usually takes one or two years for the inflation rate to decrease, whereas economic growth declines gradually already in the short run and does not revert to its normal development until after a couple of years." Their work continues to be relevant as economists and policy makers debate the ability of policies such as quantitative easing and large fiscal deficits to influence economic activity in the US and Europe. Meanwhile, our own policy makers would do well to read a seminal paper by Sargent, Some Unpleasant Monetary Arithmetic, written with Neil Wallace in 1981, where he argued that the fight against inflation will be credible only if good monetary policy is complemented with good fiscal policy.